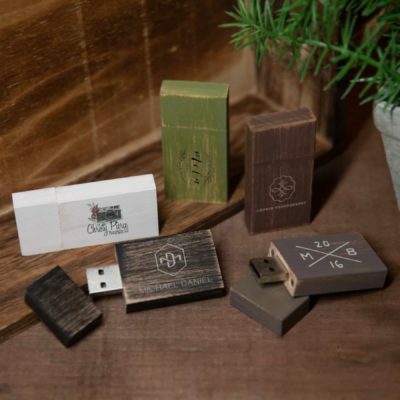 Give your clients the opportunity to relive special moments with ease with our aged looking Vintage Photo + Flash Drive Box. You aren’t simply “giving some prints” to your clients. Rather, you are delivering to them the visual vignettes of their own lives that will become memories forever. What – and how – you decide to present them with the moments you captured might live on in their families for generations. 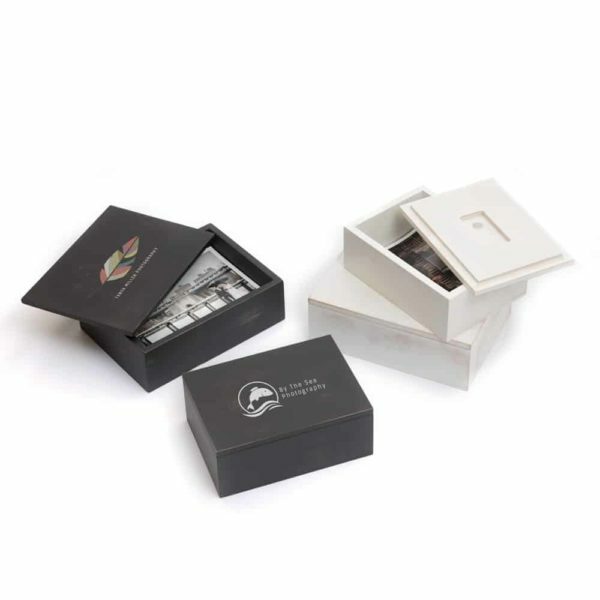 By presenting your clients with our Vintage Photo + Flash Box, complete with their names or special dates printed on the box lid, you are giving them the opportunity to relive special moments with ease, and pass them down with confidence. Constructed from thick pine wood with near-perfect craftsmanship and a distressed-by-hand finish, each box can hold up to 200 unmatted 4×6 or 5×7 prints on a cushioned bed of black foam. When bundled together with the included length of ribbon, removing all the prints at once is a breeze. Perhaps one of the most clever and functional features of this box is its ability to hold a flash drive to the base of the lid. A dedicated cutout with an embedded magnet keeps a drive in place without posing a risk to any of the data on it. Your clients will light up with excitement the first time they notice this smart added feature. They will still be smiling years down the road knowing that their images are secure, right where they left them!